Transformers: Prime is one of my families favorite animated series. Thanks to iTunes not picking up the episodes as they air , I have to resort to other means of getting my fix. 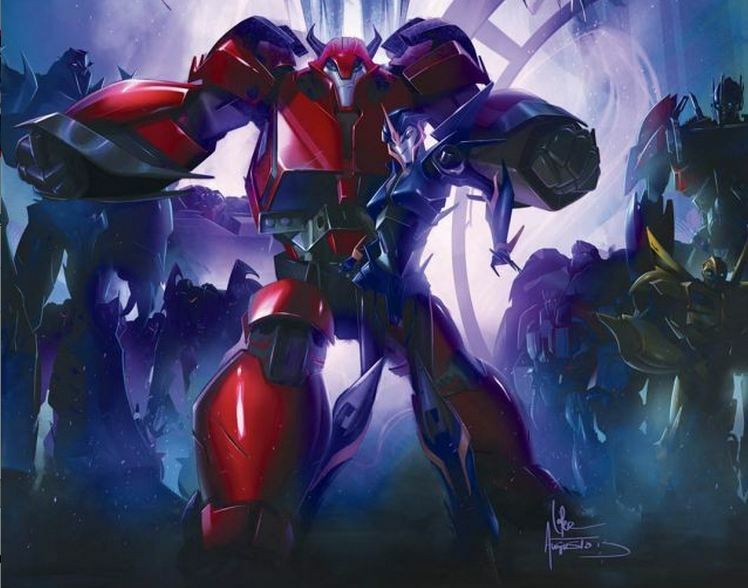 Recently, I discovered the Transformers: Prime comic book series from IDW and while I enjoy reading about Optimus Prime and the others, some of the series are just not my thing…until I found the animated series in comic book form. I picked up volume 1 on Comixology this week and while the stories are a little short on the details that happened in the animated series, it still has all the action and heart. The really odd thing about this book is watching the Arcee and Cliffjumper transform. They look more like jumbled heaps of metal in transition than the smooth transitioning robots that they are. I wish they would put the entire animated series in a comic book form, but since that won’t be happening anytime soon, I’m happy to at least have this one. There was a recent poll on a comic book board I frequent that dubbed this book as one of the worst of the recent Marvel crossovers. I had a review copy of the event that I’d been meaning to read, so naturally after seeing the comments, I decided it was time. And while it’s flawed, especially if you’re a big Marvel continuity stickler, it’s also a lot of fun to read. And, best of all, Immonen’s art is wonderful. I closed the book thinking if a casual superhero fan watched The Avengers movie, they’d probably really enjoy this book, as many familiar characters show up: The Avengers, of course, a daughter of the Red Skull, much of the cast of Thor, not to mention a bunch of supporting characters. And, hey, cities get wrecked once more. I’ve been reading Marvel comics since the 1970s. This reminded me of the kind of story that used to run through all the summer annuals, seemed world-changing during the event, and then was promptly forgotten about by everyone. The plot is basically that an escaped god of fear has sent his hammers/weapons out to certain powered people to make them avatars of destruction or fear. It’s not clear why but there’s a whole lot of destruction. The Avengers never seem quite afraid, however, even Thor, whose death seems to be connected to some prophecy regarding the returned god.